A spare car key is very similar to the ugly duckling. This metaphor may not be apparent just yet but trust me, if you stick around it will make sense soon. (I hope). I liken a spare key to the ugly duckling simply because no one really knows how important a spare car key is until it is their time to shine. (By shine I mean help you out of a car lockout or help you save money). The person who thought it would be a good idea to normalize spare keys deserves to have their name cemented in the annals of history. I say this because this person is probably responsible for preventing several major meltdowns over the course of history. If you are unfamiliar with which meltdown I am referring to, then you clearly have never been stuck in the midst of a car lockout or any type of lockout for that matter. This is not to say that a spare car key is the only solution to car lockouts, but they are a very integral one. Car lockouts can happen for several reasons. Sometimes you might just be having a very hectic day and you end up forgetting your keys somewhere. On other days you might break your car key off in the lock or in the ignition, and that would result in you being locked out. For the first problem, a spare key will undoubtedly help you out. However, for the second issue, a spare car key will not be the remedy to your woes because you will first have to get the broken key out of the lock and hope that the lock is not damaged. In these situations, a locksmith can help you with a car key extraction, but I digress. A spare car key is an important asset to every car owner because they help give you many more options that end up saving you a lot in the long run. Think about it. 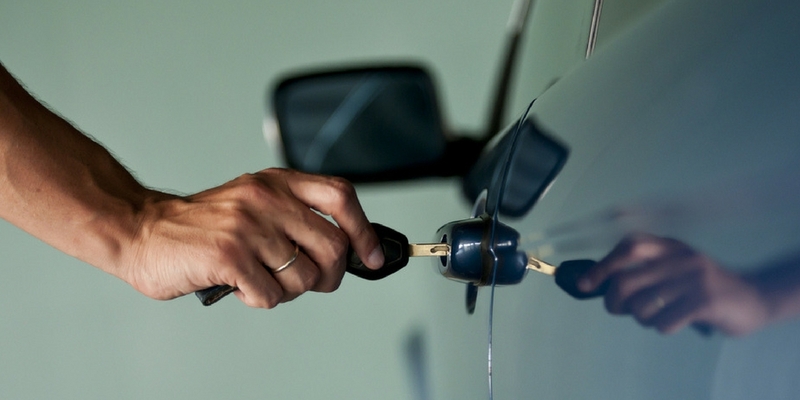 If you lock yourself out of your car one day, you will either have to break your way back in (which might cause some damage) or call an auto locksmith to assist you. In both of these cases, some cost will be incurred, not to mention the time that you will waste waiting on a locksmith to help you out. It is always beneficial to have a spare car key, even if you think you will never need one. In some cases the spare key might not even be for you, it might be for a spouse or a child who also needs to have access to your vehicle. I am sure that at this point I have not convinced the skeptics among you that it is important to have a spare car key. Now let me expand upon some of the points I have made so that I can categorically break down the reasons why everyone needs a spare car key. Owning a spare car key will help car owners minimize the amount of money that they will have to spend if they are ever stuck in a car lockout, or if they ever need a locksmith replace car keys. The process of calling a locksmith is not exactly cheap, and depending on where you are (and the service you need), you might end up spending more than if you had a spare car key. Also, in this instance, cost is not only monetary. Let’s say that you are locked out of your vehicle and you have no spare car key, but you need to get to work, or to the hospital or even make it to a date on time. 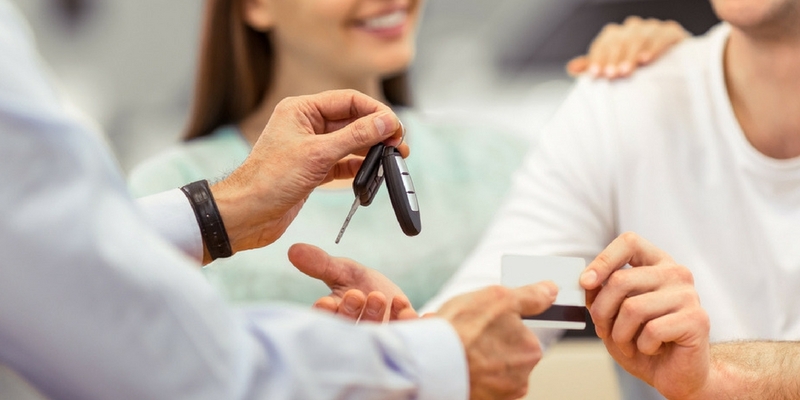 These situations can easily be avoided by owning a spare car key, but without it, you run the risk of being considered tardy, unreliable and unprepared. Essentially, you want to make sure that your spare key is always readily accessible should you ever need it so that you do not incur any unnecessary costs. Some car owners resort to storing their spare car key at home, work, or even with a friend (dubbed a key buddy). A key buddy is beneficial during car lockouts because they can potentially meet you and deliver your spare car key. Spare car keys are very handy and helpful in more ways than one. It is dangerous to think that car keys are impervious to damage. This might not be a conscious thought, but from many of their actions, you can tell that they put very little weight on the way they treat their car keys. I bring up this point because car keys are susceptible to damage and wear over time. This is a natural thing that occurs to even the most well-crafted keys, but the habits of their owners tend to speed up the process. A spare car key helps slow down the damage that your original key goes through. This is simply because having a spare car key allows you to switch keys often, which means that no key is being overused and exposed to damaging elements on a daily basis. This simple solution is best paired with proper key maintenance. If you do not properly maintain these keys, you will notice that they will both begin to wear down and this will negate the benefit of having a spare car key. Furthermore, utilizing a spare car key reduces the possibility of you ever needing to call a locksmith for an ignition cylinder replacement or other repair services. If you think car lockouts are a myth, I feel really sorry for you. I also hope you never have to go through one. There is no telling when a lockout will happen, which is exactly why it is infuriating. If people could plan for them then they would never happen, but alas they are so much more common than people think. In my opinion, the worst of these lockouts is the car lockout. I say this because car owners know that cars are a luxury, regardless of whether you use it to commute to work during the week or take a long road trip on the weekend. If you are locked out of your home, there is solace in the fact that you are, at least, near your home. If you are locked out of your office, there is some solace in the fact that you can, at least, go back home or go wait in your car. However, being stranded outside your car can be a frightening experience. In a situation like this, a spare car key can help alleviate the stress and anxiety that a car lockout might bring. Owning a spare car key will give you a cost effective way to gain entry back into your vehicle without inflicting any damage on your car. Furthermore, it will also mean that you will be stranded for a shorter period of time, which will help increase your overall personal safety (especially if you are locked out in a remote, unfamiliar location). If you do not have a spare key at times like this, you might end up calling a 24-Hour Locksmith (if it’s late at night) and that is not a cheap affair. Thanks to technology, cars have become much more intuitive and they are beginning to truly make the driving experience fine-tuned and personal. Car keys that have these capabilities allow drivers to assign their personal preferences of music volume, maximum attainable car speed, air condition setting, and a bunch of other nifty things. Owning a spare car key makes this feat much easier to accomplish among multiple drivers. Imagine that you had one car key, and whoever used your car after you continued to mess with all the setting that truly made your drive comfortable. I for one would not be too happy about that because it would waste my time to go back in and redo all these settings. Also, a spare car key will allow parents to customize their vehicle to cater towards teenagers and young drivers. For instance, if you want to ensure that your child is not blaring music while they are driving, you can set the volume at a certain level and you can do the same thing with speed as well. This means that you will be able to keep your child and your settings intact. A spare car key makes the car key replacement process much easier for drivers, and it saves them so much time on what could easily have been a hassle. As I discussed above, a spare car key helps to reduce the amount of damage that might be done to your original key. However, this is not the only way in which a car key can be damaged. Therefore, if you happen to break your keys, or if something happens to them that warrants a car key replacement, your new replacement car key can easily be cut from your spare key. Cutting car keys is one of the many specialties of locksmiths, but it is a much more fluid process if there is a spare key involved. If you have your spare car key available, it presents the locksmith who will fashion your key with the easiest and most efficient duplication method available. They can simply cut your new key to the specifications of your spare car key. If, however, you did not have a spare car key, the locksmith will have to resort to either disassembling your ignition or using other methods to obtain your car key code so that they can cut you a replacement. None of these methods are quick, easy or cheap. This is one of the main reasons why already having a spare car key in place can work to your benefit. If you are the only person who will be using your spare car key, then you are the only person who needs to know about it, especially if you choose not to store it with a key buddy. It is not advisable to advertise the fact that you have a spare key because this increases the potential possibility of someone stealing your spare car key. Do not treat your spare key like it is not important because it is. Try your best to rotate between using your spare car key and the original key so that you do not inflict excessive damage on either key. I suggest rotating the key you use month-to-month. Practice proper key maintenance to increase the longevity of your keys. This can be done by regularly cleaning any buildup of dirt and grime on your keys. Also, it helps to avoid scratching your keys or performing any acts that might damage or dent them (avoid using them to crack bottles open or make indentations on hard objects). As I alluded to above, it is important to leave your keys in areas that are easily accessible. Keep in mind that this varies from each person. For some people, this might mean leaving it at your office, for some this could mean leaving it in a friends apartment. Either way, try to keep it in a secure location that you, or someone you know and trust, can easily have access too. Finally, when choosing your key buddy (see above) make sure you choose someone that you know will not use your spare car key in exploiting you. This person can be a relative, a friend or even that really cool neighbor you have (beneficial if you live alone). No matter who they are, make sure that you are confident in trusting them and that they will likely be available to meet you with your spare key should the need ever arise. Spare keys can be the difference between having a really good day and having a day that you want to completely forget. They come in handy when you least expect it, and they are reliable assets that every car owner should take advantage of. I don’t mean to scare you into going to get a spare car key, but I am merely presenting you with all the possibilities and reasons why you will need a spare key. I hope you find these pointers helpful and I hope they help you obtain a spare car key and properly maintain and look after it.